For the third year running, ÅF has been involved in the winning project in the competition Årets Bygge (Building Project of the Year). 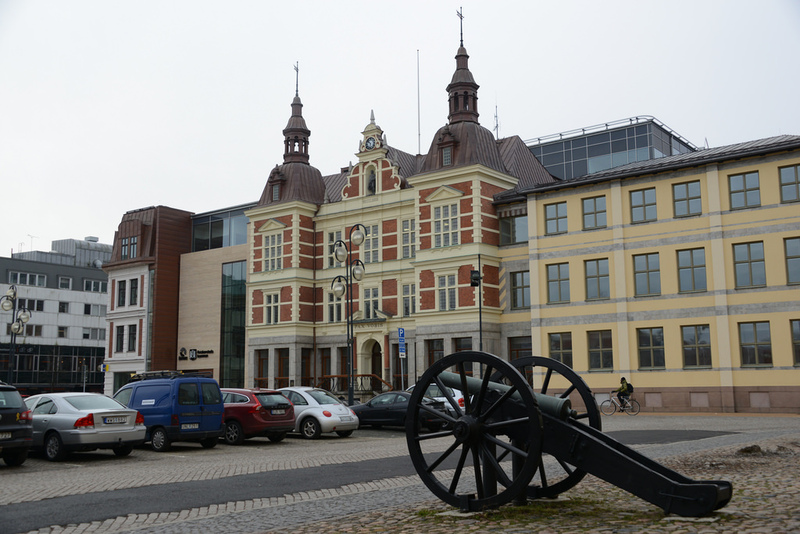 The winner of Building Project of the Year 2015 is the City Hall District in Kristianstad. “We have the most stylish city hall in Sweden,” commented Pierre Månsson (Liberal Party), local government commissioner in Kristianstad, as he accepted the award together with others involved in the project in front of an enthusiastic gala audience on 23 March at Cirkus in Stockholm. The judging panel was particularly taken with the project’s extremely effective partnership arrangement and innovative use of BIM. “It’s been a fantastic project with amazing teamwork,” said Greger Dahlström, Fojab Arkitekter, at the award ceremony. There is a close-knit team behind the City Hall District project. The developer, Kristianstad Municipality, worked with Fojab Arkitekter, NCC, WSP, Bravida and ÅF to create a modern office building in a historic urban environment. The project covers a total of 22,500 square metres of office premises, including 17,500 square metres of new construction. Three existing buildings have been preserved and completely renovated, as have 150 metres of intricately decorated 19th century facades. ÅF’s assignment covered programme documentation, system documentation and detailed project planning of HVAC technical installations, energy calculations and various other calculations for environmental classification of the building. The project was managed from the HVAC section in Malmö, with Klas Grimström at the helm. ÅF was also involved in the winner projects from 2013 and 2014, Helix and Aula Medica. Building Project of the Year is the infrastructure planning industry’s most prestigious competition. It recognises examples of excellence within the sector with regard to quality, project collaboration, financial aspects and design. The award is organised jointly by the magazine Byggindustrin and the Swedish Building Centre (Svensk Byggtjänst). For further information, contact Klas Grimström.